Created in Norway, this incredible begonia was named after the castle where the King of Norway lives. Just one bulb will fill a tub planter with an abundance of blooms all summer long! 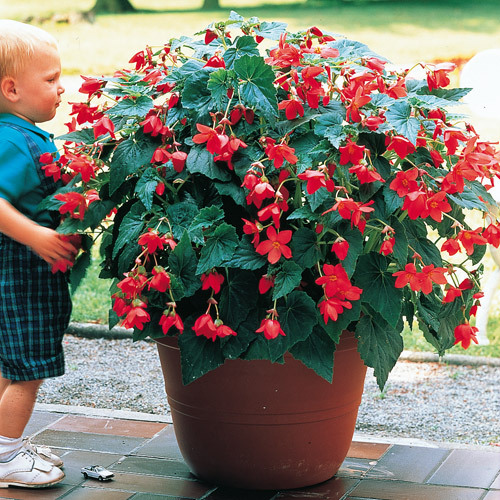 Enjoy year after year of spectacular, fiery red flowers covering the begonia's rich green foliage.